Since 1871, when the Society for the Prevention of Cruelty to Animals first met in Victoria, the RSPCA has grown to become Australia’s most recognised and best-loved animal welfare organisation. 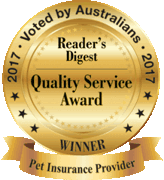 To create RSPCA Pet Insurance, we’ve partnered with PetSure (Australia) Pty Ltd and The Hollard Insurance Company Pty Ltd (Hollard). 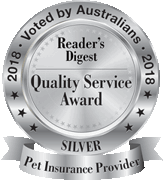 RSPCA Pet Insurance is issued by The Hollard Insurance Company Pty Ltd ABN 78 090 584 473, AFSL 241436 and distributed and promoted by Greenstone Financial Services Pty Ltd ABN 53 128 692 884, AFSL 343079, and is arranged and administered through PetSure (Australia) Pty Ltd ABN 95 075 949 923, AFSL 420183. RSPCA Pet Insurance is also promoted by RSPCA Incorporated ABN 99 668 654 249. The information on our website, brochures and other documents is general, and doesn’t take into account your personal financial situation, needs or objectives. So before you decide to buy this product, make sure you read the combined Product Disclosure Statement (PDS) and Financial Services Guide (FSG) [PDF] to make sure the product suits your needs. Neither the RSPCA nor any of its related entities, directors or officers guarantees the assessment or payment of claims under any policy issued by Hollard.